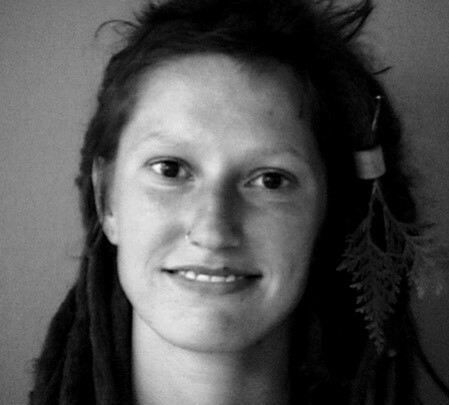 Krow is an environmental and indigenous rights activist who faced charges stemming from a June 2013 Penokee Defenders protest that disrupted GTAC (Gogebic Taconite) bore hole drilling at a mine site on the Penokee Range. On January 21, 2015 Krow was sentenced to 9 months (until 11-01-15) plus 5 years of supervised release, and may face additional charges for ‘bail jumping’ for allegedly entering a forest that was off limits while the case was pending. Krow is in jail with only one other person, so would love to receive mail. After dedicating approximately five years of our lives to the struggle to stop the proposed ‘Taconite’ mine in Northern Wisconsin, and keep the Penokee Hills therein wild, myself and I’m sure many others are elated to hear that Gogebic Taconite (G-TAC) is closing their office in Hurley, Wisconsin; subsequently, they are withdrawing their ‘forces’ from the Penokee Hills. Due to insurmountable numbers of wetlands G-TAC has no economic desire to ‘mitigate post proposed-destruction, they are seemingly disengaging from the project for now…. As a botanist and participant of plant surveys conducted within the Bad River Watershed and Penokee Hills area, along with several others, the power of plants and their surrounding ecosystems astounds me! In conjunction with direct action and grassroots organizing, the mine proposal is at least temporarily stopped—for a good deal of years! My spirits are rejuvenated in seeing that people can really make a difference. We must stay vigilant and never stop fighting; striving and preparing to be more on the offensive is always a good plan.The Penokees are not truly saved from the threats of industrial resource extraction, just like anywhere, until they are intentionally set aside for something other than slated destruction (whether it be mining, logging, etc. ), or permanently ‘looked after’ by some kind of protectors/Ogichida, etc. It should be noted that the Penokees are not temporarily saved due to simply “manifesting” protection; that surely cannot hurt and can strengthen actions, I believe, but it does just that—strengthens actions, it does not create them. The Penokee Hills are not saved due to folks sitting idly by in the face of potential deadly resource extraction. We must thank grassroots organizing that derived from *Indigenous communities* and the will to survive as well as honor old traditions of living that are and were paramount in fostering a continued relationship with the forest, outside of economic gain. We should extend many thanks to all those that helped establish Harvest Camp in the Penokee Hills (opposing the world’s largest iron mine proposal), those that have lived there and helped it survive, and/or those that continue to do so… It’s been a long road, and we are not yet at its end. We must continue to support each other, and try to help each other embrace methods of existing that require less mining, wherever possible, whist keeping in mind that the US military industrial complex will utilize more resources than any one individual and/or groups of people combined over multiple lifetimes… One cannot stop something such as a mine with the liberal guilt-trip idea of “voting with your dollar”l it is not that simple. So, in the midst of this daunting and eventually forced paradigm shift (due to lack of certain ‘resources’), we must continue to oppose and disrupt business as usual for industrial resource extraction projects whenever possible, simultaneously recognizing *disparities between different groups and demographics of people* that effect their abilities to be involved with/help on certain issues… Whenever possible, resist by existing, never standing idly by—for those of you that have dropped off the face of the earth and started your “rad land project,” and just want to be “done with it all,” never forget all the folks that are less fortunate, and non-humyn creatures you’ve left behind. Use your privilege for “good”; and do not be a “rope puller.” Some day, they may come for your land—”community” is never obsolete. *Find balance between misanthropy and compassion for the currently living, humyn and non. It’s always a lovely and harsh reminder that we need the Earth, the Earth does not “need” us, though.